Here you will find everything you need from becoming an IMI Approved Centre to the fees and charges involved in offering IMI motor industry qualifications. Check the noticeboard for the latest information and also gain access to online registrations, certifications and assessments. You will need to login to access certain pages. 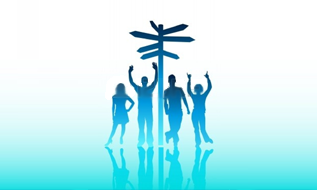 We are proud to offer the FREE ePortfolio system to all approved centres. Developed in collaboration with approved centres and backed by the awarding body, ePortfolio is the only system designed specifically for training providers within the automotive industry. If you are already an ePortfolio centre we are offering a series of Train the Trainer sessions to help you get the most out of ePortfolio. Only two delegates per centre may attend. Becoming an IMI Approved Centre will provide you with access to advanced knowledge and support from our industry specialists, as well as our extensive range of products. 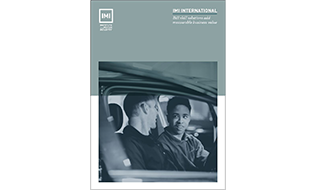 The complete IMI Operating Manual can be viewed or printed from the PDF files here. The forms associated with the IMI Operating Manual can be viewed or printed from the files here. The IMI's Digital Certificates eModule is a secure online portal providing access to digital copies of candidate Qualification, Quality Assured Programmes (QAP) and IMI Accreditation achievement certificates. IMI have created a series of 'How To' videos to navigate round our systems. These short videos cover areas such as navigation, creating forms, and adding users, to registering and claiming candidates. To view the videos click here.